Populous 3: The Beginning for the Mac! On February 28, 2014 / CrossTies, GOG.com Games, Mac Strategy Games, Wineskin Wrapper / Comments Off on Populous 3: The Beginning for the Mac! Today Populous is the game focus. Populous and Populous 2 are already available for the Mac on GOG.com. Populous 3 – The Beginning was the only Populous game not ported yet. So here it is! Because of Populous 3, I made a game page for Populous and Populous 2 on this website as well. The games can be found now under the strategy section of the game ports. Enjoy! In the third part of the Populous series, you control your shaman and the tribe of her followers in a difficult quest to conquer all 25 planets of a star system and ascend to godhood. For the first time in the series, the world is presented in true 3d, which at the time amazed both the players and the gaming press.The level of control you exert over your followers also takes you to a new level: you can order individuals or groups to perform certain tasks like gathering resources, constructing buildings, or attacking your enemies. On February 26, 2014 / News / Comments Off on Site under contruction! Here a post to clarify all the SQL errors of the banner and the blog mess-up on the homepage all the time! Well, the simple reason is that the site is getting revamped at the moment and will be coming days with all kind of new features. Manesh is working hard to get the specific features on the website, like the awesome search bar for searching games on the website and a complete login package for everyone to be able to login on the site and more! So bare with me coming days, and know that the game pages are still accessible of course. Thanks! 7.62 High Calibre for the Mac! On February 25, 2014 / CrossTies, Gamersgate Games, Wineskin Wrapper / Comments Off on 7.62 High Calibre for the Mac! For today I have a Tactical strategy game for you called 7.62  High Calibre . This game is a bit similar as Silent Storm and Jagged Alliance Back in Action. The trailer video below will show you some game-play (A noob is playing it there :P). Enjoy! Freespace 2 for the Mac! On February 24, 2014 / CrossTies, GOG.com Games, Mac Simulator Games, Wineskin Wrapper / Comments Off on Freespace 2 for the Mac! Today we have Space Simulator game in store! If you know Freespace, then you will surely enjoy Freespace 2! Made as well a Wrapper as a CrossTie for this game. As the Terran and Vasudan races finish rebuilding their decimated societies, a disturbance lurks in the not-so-far reaches of the Gamma Draconis system. Your nemesis has arrived… and they are wondering what happened to their scouting party… Take off with your spaceship and finish off the enemy for love of the motherland! Check out the game-play trailer to see some in-game action! The game continues on the story from Descent: FreeSpace, once again thrusting the player into the role of a pilot fighting against the mysterious aliens, the Shivans. While defending the human race and its alien Vasudan allies, the player also gets involved in putting down a rebellion of those elements of Vasudan (Hammer of Light) and Human (Neo Terran Front) forces which don’t want to cooperate with one another. Six more alternative Wrappers added! As mentioned earlier, here 6 more Wrappers which will stand side by side with the CrossTies. I went back through the blog and took out the new (non-steam) game ports for which was no Wrapper available, and created a Wrapper for those as well. The Wrappers I did are: Etherlords and Etherlords 2 which are 2 fantasy RPG/Strategy games, which by the way Warlords Battlecry 3 is as well. Fleet Command, a great overlooked sea war simulation game. Death to all Spies, an amazing stealth action game in WW2 times. And last but not least, on request, Red Alert 3 – Uprising! Check out those game pages and find the two download buttons (Wrapper and CrossTie) accompanied by each-other in the slider! Enjoy! To make the STALKER series complete, here S.T.A.L.K.E.R. Clear Sky! I made both a Wrapper as a Crosstie for the game because there is a non-steam version on GOG.com. Game worked just as S.T.A.L.K.E.R. Call of Pripyat, quite well although a good videocard (512mb) is recommended. Check out the GOG Trailer below to see the gameplay. Three more alternative Wrappers for latest games! On February 22, 2014 / News, Wineskin Wrapper / Comments Off on Three more alternative Wrappers for latest games! As mentioned in earlier posts I will have alternative Wrappers for all new games as well (when possible and Steam games are excluded). This for the people who cannot effort Crossover, but are longing to play those games as well. In those cases the “How to install a game in Wineskin” video tutorial can be used for the install instructions. The Wrappers I added today are the three games: AIM Racing, and the popular S.T.A.L.K.E.R. Call of Pripyat, and last but not least the amazing game Advent Rising! Enjoy the Wrappers! Wine 1.7.13 is released just now! The wine version will be buildt in an engine and will be available in “Winery“. Winery is a program where you can build wrappers with, and is available on the Wineskin website. I used Winery to buildt all my wrappers for this website. Because the new Wine is just released, the engine itself is not available yet in Winery, but will be added soon by Doh123 (Wineskin developer). There were quite some d3d patches implanted in wine which resulted in some D3D10 and D3D9 fixes. See more details below and on Winehq. The Wine development release 1.7.13 is now available. A few more Direct3D 10 interfaces. More Windows Media Player stubs. Better memory size reporting on Mac OS X.
Driver Parallel Lines for the Mac! 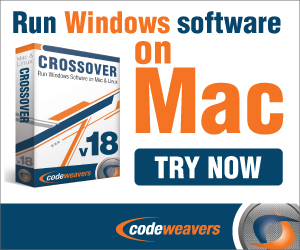 On February 21, 2014 / CrossTies, Mac Action Games, Wineskin Wrapper / Comments Off on Driver Parallel Lines for the Mac! A very cool one for today: Driver Parallel Lines! An amazing GTA 3 like action game. I played it for a while and it is real fun! I used the GOG.com version of the game which is DRM free. The Gamersgate version contains TAGES DRM and will not work, so stick to the GOG.com version for this one. I created both a Wrapper and CrossTie for this one, this will happen for many more in the future. For the Crosstie you need Crossover preinstalled. So if you haven’t Crossover yet, then sign up here and buy the program or if you want to test it first, for the 14 days trial. Important: To get the sound working go in the game to the sound options and set the Sound Card (none is selected at default), when thats done the sound will work and music as well in the game. Take total control as New York’s most wanted wheelman. The perfect combination for high speed driving – fast cars, open level missions with no loading time, realistic physics and destructible environments. Build your perfect ride with custom body work, engine upgrades, tunable suspensions, custom paints and accessories like bullet proof glass and tinted windows. Shoot, smash and steal your way through NYC’s gritty underground using an arsenal of short and long range assault weapons. Get behind the wheel of 80 cars and motorcycles including old school classics and modern day marvels.